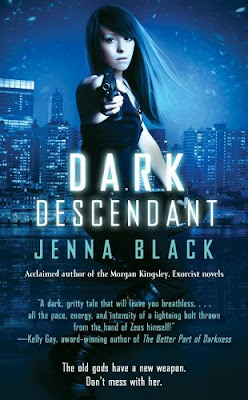 While I think fans of Urban Fantasy will enjoy this book, it was too dark for my tastes. I liked the idea of the characters being descendants of mythical gods. The gods were from the mythologies of different cultures, some well known, some lesser known. Even with this great starting point, the violence and cursing turned me off of this story. I suppose those aspects appeal to readers of the genre though because it seems to be common in Urban Fantasy books. I like the tone and voice in my reads to be a little softer and gentler, not so aggressive and in-your-face. I think I would like to try one of the author's YA fantasy books, because the grittiness might be toned down. Bottom Line:I would recommend this book to Urban Fantasy readers because of the twist on the mythological characters, but this book didn't quite fit my tastes. "Sweet Valley Confidential: Ten Years Later"
I didn't think this book was as awful as the other reviews are making it out to be. However, the author makes really bold choices about her beloved characters, and some of the choices are bound to make long time fans angry. While the book isn't rocket science, it's the equivalent of a juicy soap opera. Lots of fluff, and all the drama you need for a relaxing afternoon read. It's hard to say that the Wakefield twins have "grown up" but it is ten years later. Elizabeth and Jessica are still caught up in the same type of fluffy, selfish story lines we saw them in during high school. Now the residents of Sweet Valley are cheating on spouses instead of boyfriends and girlfriends. Jessica is still wildly selfish and Elizabeth is still a goody two shoes martyr. As the book itself says "Plus ca change, plus c'est la meme chose," which means "The more things change, the more they stay the same." I always had a soft spot for Bruce Patman, and he comes out as the 'most changed for the better' from Sweet Valley High. Lila Fowler fans, she barely makes an appearance, much to my dismay. As for the other characters, I won't give any spoilers, but I can see how huge fans of the series who remember every detail from the books would be disappointed and saddened by the direction of some of the characters (cough...Todd...cough). I didn't care for the New York storyline at all. Elizabeth had moved to NYC, and all of the events and characters from that part of the story seemed so irrelevant to the soapy drama happening in Sweet Valley. Readers want to know about their old favorites not disposable new characters. Another part of the book that I didn't like was the style of font for the flashback scenes. It literally made my eyes hurt. I don't think it was a proper font for reading such long passages. Bottom Line: An angsty, drama-filled visit back to Sweet Valley. 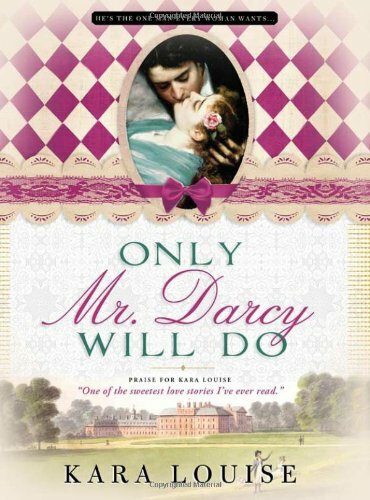 The author made bold choices for her beloved characters that may or may not please hard-core fans. 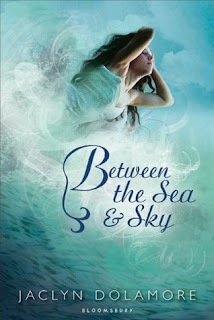 "Between the Sea and Sky"
Oooh, another book about mermaids!! I love it! 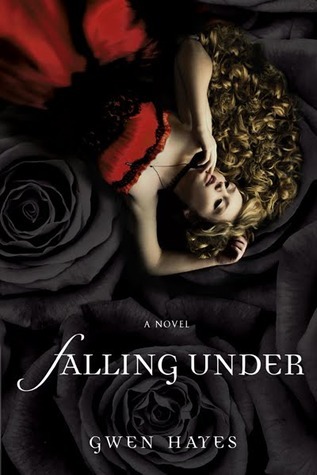 The cover is so gorgeous too! Can't wait to read this one. Winners Announced!! Hoppy Easter Eggstravaganza Giveaway Hop! Thank you so much to everyone who stopped by and entered the Hoppy Easter Eggstravaganza giveaway here at In the Hammock!
" He had a way of blending in, being unseen. It was part of what made him successful. That and the ruthlessness. " 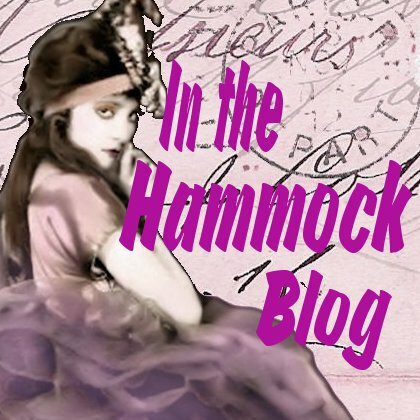 To celebrate the Royal Giveaways on The British Babes Book Brigade Facebook Page, Sourcebooks is offering a mystery Georgette Heyer romance to TWO readers of my blog! 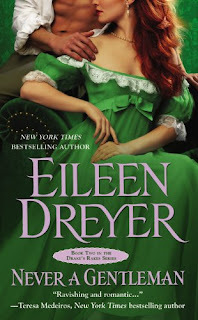 Check out my post about the Royal Giveaways here, and comment on THIS post with your email for a chance to win one of two mystery Georgette Heyer books. 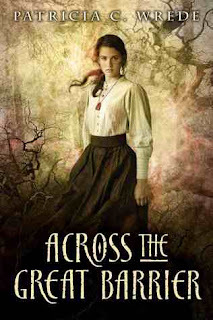 There will be two winners, the book you win will be a surprise! Sourcebooks has generously provided two surprise Georgette Heyer books for readers of my blog! There will be two winners, the book will be a surprise! I hope everyone is having a wonderful Easter!! 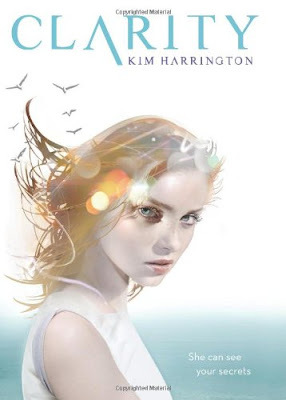 It doesn't get much better than a book about mermaids! Do I have a soft spot for horses or what?? This looks great! 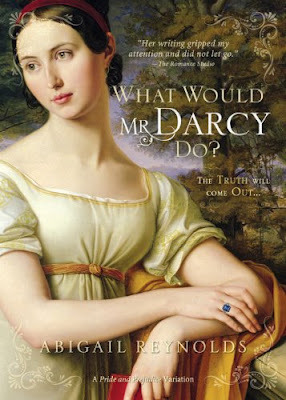 Sometimes Regency short stories are just what you need! This author's titles are a hoot!! The stories are really cute too, although the covers don't look very historical. This isn't my usual style, but the premise just looks too interesting to pass up! 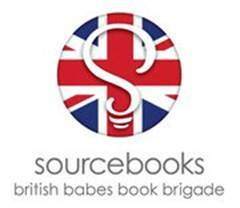 Royal Giveaways on Sourcebooks' British Babes Book Brigade Facebook Page! Royal Giveaways on Sourcebooks' "British Babes Book Brigade Facebook Page!" I don't know about you, but I am totally caught up in the Royal Wedding craze!! I can't believe it's next week!! "The royal wedding is only a week away and we are going to be celebrating all next week. Starting Monday we will be doing a giveaway every day until the big celebration on Friday. But these are no ordinary giveaways – these are royal wedding prize packs! - The 3rd place winner will have their choice of one book from any of our British Book Babes"
Stop by and check out the British Babes Book Brigade on Facebook and enter the contest today!! My Answer: I definitely hunt down other books by an author that I like!! While you're here, why not check out the contests I have running this week! I love all of this author's books that I've read. Can't wait for this one to be released! While you're here, why not enter the contests I have running this week?? 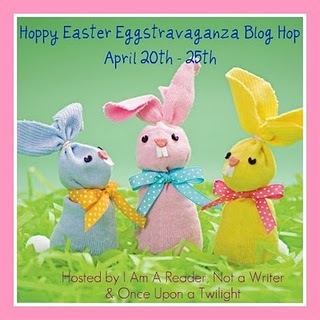 Welcome to my stop on the "Hoppy Easter Eggstravaganza Giveaway Hop" hosted by Kathy at I am a Reader, Not a Writer and Once Upon a Twilight! ARC of "Falling Under" by Gwen Hayes!! 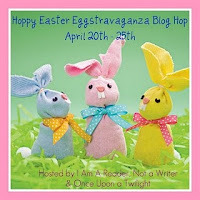 Don't forget to check out the other stops on the Hoppy Easter Eggstravaganza Giveaway Hop! As part of the "Never a Gentleman" blog tour, I have my review and a giveaway of 3 copies of the book, sponsored by Hachette! HE HIDES HIS TRUE COLORS . . . Miss Grace Fairchild is under no illusions about her charms. Painfully plain, she is a soldier's daughter who has spent her life being useful, not learning the treacherous ways of the ton. She may have been caught in a scandal with society's favorite rogue, but how can she marry him when it means losing herself? It really bothers me to give this book such a low rating, but this kind of book isn't my style. 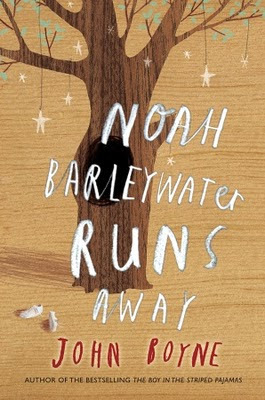 I've seen many fantastic reviews of this book, I think it's one of those books that you either absolutely love or hate. 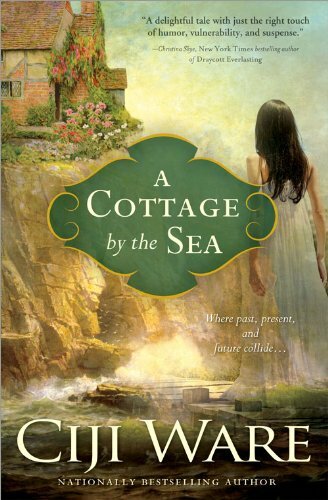 Possibly the problem for me was that it was packaged as a mainstream historical romance. 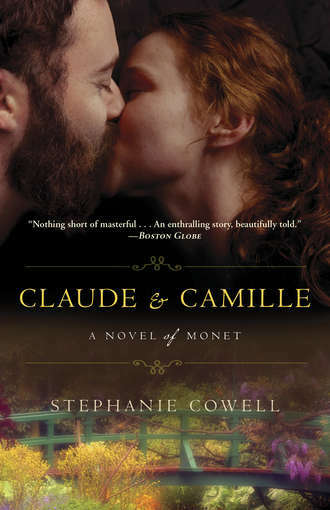 When I pick up a book like this, I want to read about two characters who love and respect each other. I also don't want to worry about disturbing bedroom scenes. This book broke both of those rules. I read Dreyer's previous book, "Barely a Lady" and there was a red flag for me in that book because the hero gushed about romantic feelings towards his mistress. 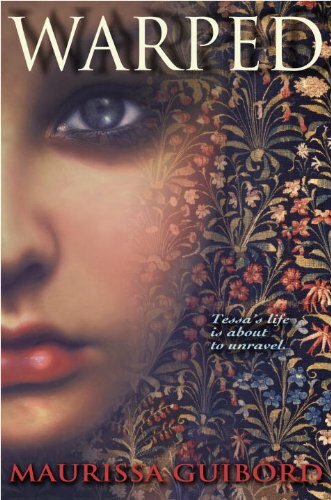 But I liked her dramatic writing style, so I decided to give this book a chance. 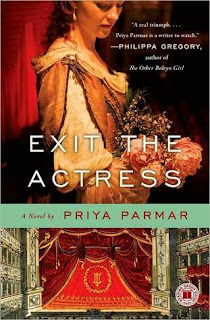 But this book takes the mistress storyline to whole new level. I was trying to give the mistress storyline a chance because I knew Diccan was being blackmailed into it. But then "the scene" happened, followed by how readily and eagerly Grace accepted it. When the characters have lost respect for themselves, then I lose respect for the story. I pretty much checked out of the book at that point. It was so far from anything I would want to read. Grace was such a sad character with no self esteem, and she didn't make progress towards building her self worth. I have no problems with characters who are at a bad place in their lives or who have low self esteem, but they gain more self worth as the story goes on. These stories are inspiring to me. But Grace was painful to read about. For instance, in one scene, all Diccan did was enter the room and look at her. The thoughts that went through her head were along the lines of 'why does he hate me?' 'I can tell he hates my dress' and 'He thinks I'm so ugly.' (these are not exact quotes, they are what I remember). She got all of this from one look. I would sure hate to live inside her mind. How she reacts to "the scene" only reinforces how little she loves herself, and I hate to see women having to read about this. As a woman, I want to read about women being strong, or learning to be strong, and not blindly 'putting up with' and embracing a man who treats them terribly. 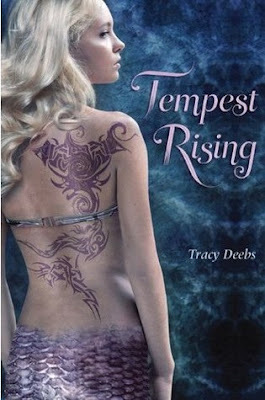 Bottom Line: I hate giving negative reviews, but that's how strongly I felt about this book. I have seen fantastic reviews of this, so I know some people are loving it, and I'm glad they are able to see it from a different place than I can. I just have a problem with the lack of love and respect that the characters have for each other and for themselves, as well as the poor attitude towards women.
" And when I open the door and slide in, it's more than strange: it's weird. I've been in his car hundreds of times but always in the backseat. The front seat is Elizabeth's place, but now here I am. " 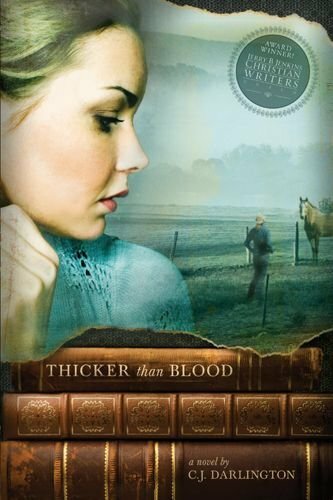 This historical Christian romance had a little bit of everything, and I loved it all! I will admit, the book started out a little slow for me. 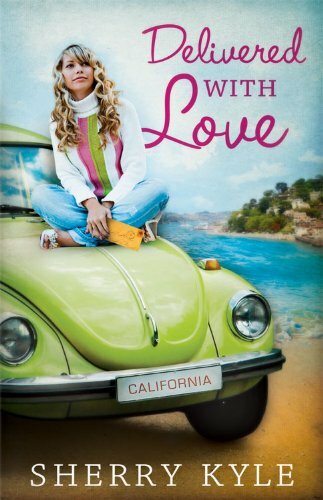 I thought it was going to be a typical run of the mill Christian romance. I was even a little confused by the two characters named Mr. Bennett. But I encourage you not to quit reading if you're feeling the same way. 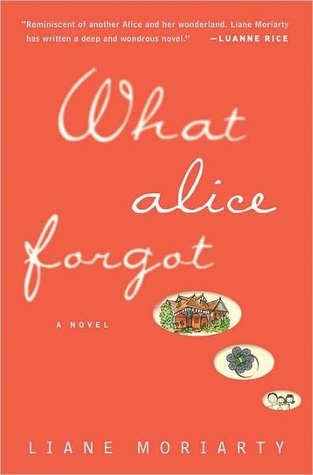 This book turns into a quick-paced, modern-thinking mystery and romance. My favorite thing about the book was the positive message about women's roles. I enjoy Christian fiction, but sometimes I feel like they look at women in an old fashioned way, which is so far from the way I feel that it discourages me from reading a lot of books in the genre. But this book took a very forward and modern view on women's roles, and their value and worth. Harrison was especially encouraging of Olivia taking charge of her life and breaking out of society's rules for women. Harrison respects Olivia as a woman and a partner, and even more importantly, Olivia respects herself as a woman. I also liked that the author doesn't shy away from the passionate side of Harrison and Olivia's feelings for each other. These feelings are discussed in a respectful and realistic way, not glossed over or ignored like some books in the genre do. I appreciate that Harrison had a large role in the book, the story wasn't skewed towards Olivia's point of view. 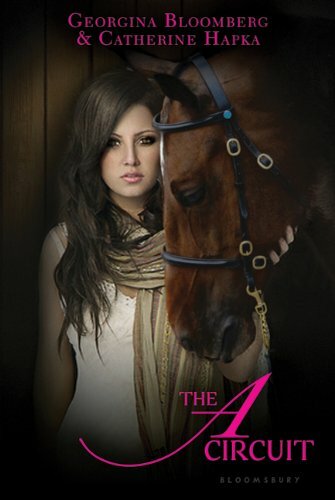 The mystery definitely kept me on my toes, and never overshadowed the romance or the personal stories in the book. Bottom Line:A lot of people have raved about the cover of this book, but in my opinion, the story is even better than the gorgeous cover. It's been a while since I've posted my IMM because of Spring Break! I'd like to call this post "So many books, so little time!" It's finally arrived!! I've been waiting forever for this to be released! I'm a SVH addict! Yay!! 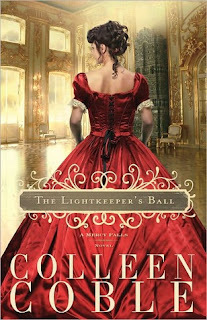 Her previous book, "Knight of Passion", was so awesome! 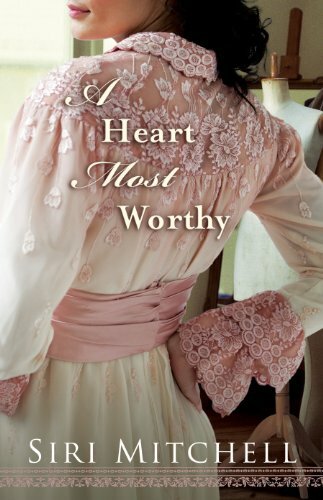 I loved her previous book, "She Walks in Beauty"! My Answer: Yes!!! I'm lucky! My mom, both of my grandmas, and my bff all read!! Yay me!!! Answer: Athena in "Athena the Wise" is still learning how to be 'wise.' Nobody's perfect, not even goddesses! Life is all about learning, and that applies not just to kids but adults too! Review and Giveaway! 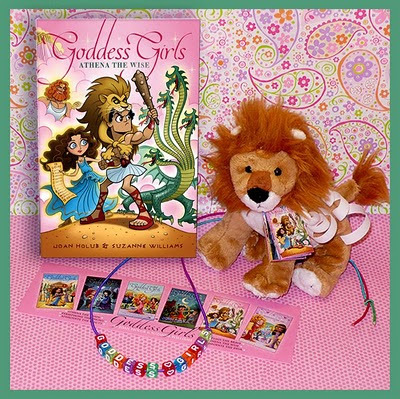 "Goddess Girls: Athena the Wise"
Authors Joan Holub and Suzanne Williams have generously provided an awesome Athena the Wise Swag Bag and a copy of the book for one lucky reader of my blog! See contest info after the review! Join the class at Mount Olympus Academy with this new series that puts a modern spin on classic Greek myths! Athena the Wise (April 2011): Zeus says Heracles has to do 12 tasks or get kicked out of MOA. Athena's not sure it's wise, but she agrees to help out. 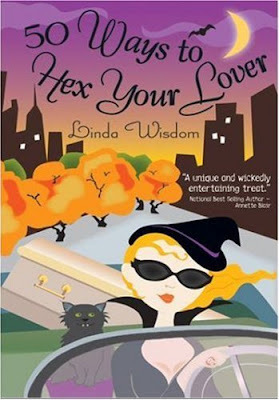 The Goddess Girls series is one of my favorites, and "Athena the Wise" is an especially sweet installment! As a romance fan, I love the cute romance blooming between Athena and Heracles. I also love Athena's relationship with her so embarrassing dad, Zeus. As with the previous Goddess Girls books, there's a subtle but important message woven throughout the story. 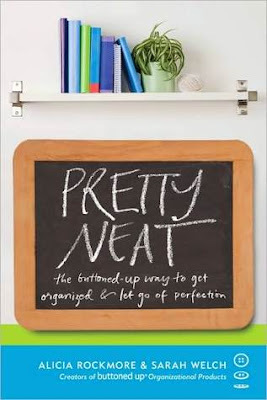 The book takes a look a the varying shades of right and wrong. It also explores anger and revenge. The authors are never preachy but instead ask the reader how far is too far when it comes to revenge and retribution. Readers of the series get to revisit all of our old friends from Mount Olympus Academy, including the animal companions. 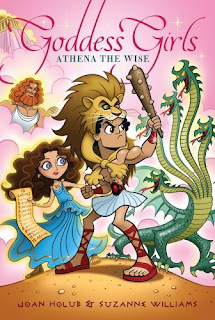 Athena's relationship with her dad, Zeus, the principal at MOA, was first explored in the first book in the series, and I loved the way it was developed here. You can tell he just embarrasses her so much in all the classic ways that parents can embarrass their kids. But she loves him so much no matter how embarrassing he gets. Heracles is a great mortal hero. His list of 12 labors that he must accomplish are pretty impressive for a 12-ish year old! I love that Heracles is a great guy but he's not perfect. Instead of fighting or arguing though, Athena and Heracles talk it out to understand their differences and learn about each other. The romance in this book is oh-so-sweet! I couldn't help but get a serious case of the warm fuzzies when I finished the book. The romance will keep the most boy crazy goddessgirl interested while still being completely age appropriate. Bottom Line: Another wonderful book in the Goddess Girls series, "Athena the Wise" is not to be missed! All you have to do is follow my blog publicly and leave a comment on this review with your email address!Please follow publicly or I can't tell that you are following :) Also, if you aren't comfortable leaving your email here, go ahead and leave a comment and then send me an email with your email addy. 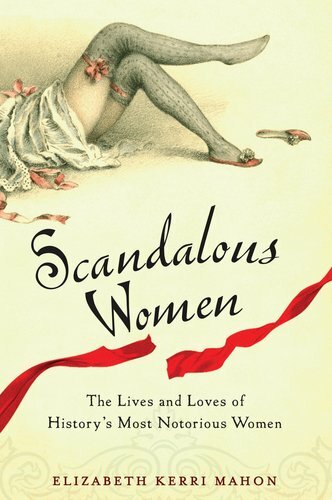 I've been very intrigued by Nell Gwynne for some time and this book was a really enjoyable read about her life. The "cast" is full of colorful characters. It's difficult sometimes so read books and watch movies about historical figures because each author puts their own spin on their personality. I really liked Parmar's vision of Nell/Ellen, I thought she treated her with dignity and respect, in spite of her being most famous for being a mistress. I thought the journal format would be awkward at first, but I found it made the book move really quickly. I loved the "Ambrose Rose" articles (even though I was wrong about his identity!) but I found the letters often unnecessary. I liked that they tied King Charles into the story from the beginning, but they seemed irrelevant to me. What I liked best about this book is that it made me think, both about Ellen, and myself. It made me want to research even more about Ellen and her contemporaries, and see for myself what's fact and what's fiction. It also made me think about what I would have done in her shoes. I don't agree with some of her choices, so it's interesting to think about what I would have done differently. I have such a soft spot for Charles Hart, Ellen's first lover. I felt like Ellen was pretty hard on him and he was so good to her and her family as well. Sure, he was sulky and jealous, but who wouldn't be when they knew their lover didn't love them anymore? One of the kickers for me was when Hart was taking Ellen and her family to his country house to escape the plague. People were beating on the windows begging to go with them, but Hart wouldn't let them add another person because of the danger of being infected. Ellen knew she and her family would be out there begging if not for Hart. I feel like this was supposed to make Hart look mean but really wasn't he just protecting them from the disease wiping out most of London? Ellen had a way of not appreciating what she had. She also mooned about later in the story saying she wanted only one man who would love her. But I feel like she didn't want that when she had it with Hart. 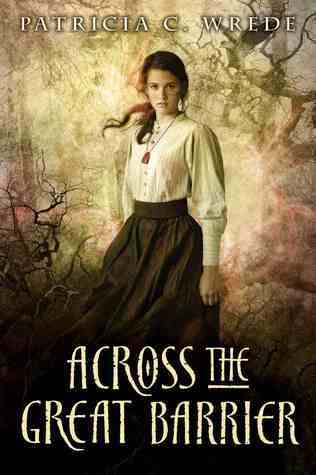 The supporting cast was great in this book, especially Teddy. At first I thought he was going to be written as some kind of caricature of a man who was famous for playing women onstage. But I quickly realized Teddy wasn't a caricature or a mockery at all, but a sweet, caring friend to Ellen, who was always there when she needed him. Bottom Line: This is a very enjoyable book. the characters come to life and are lovingly written. And most importantly, it makes you think. 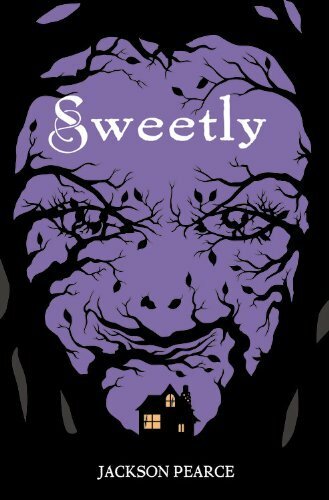 You know I love retellings, and "Hansel and Gretel" is one of my faves! 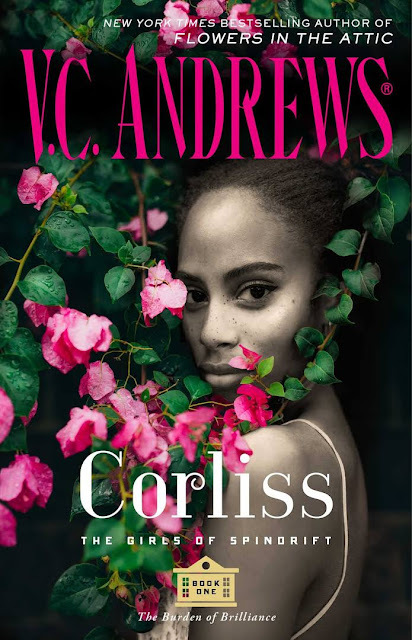 That cover is fierce, I gotta say!! If you haven't noticed the witch's face, take a second look!
" What did she say to that? She could hardly express how much she admired him for that simple thing. " 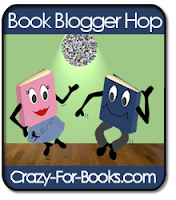 Spring Break is over :( Time to stock up on some free ebooks! These ebooks are available for free for Kindle and Nook for a limited time!! Grab them before they're gone!